What the RBS Treeworks news? 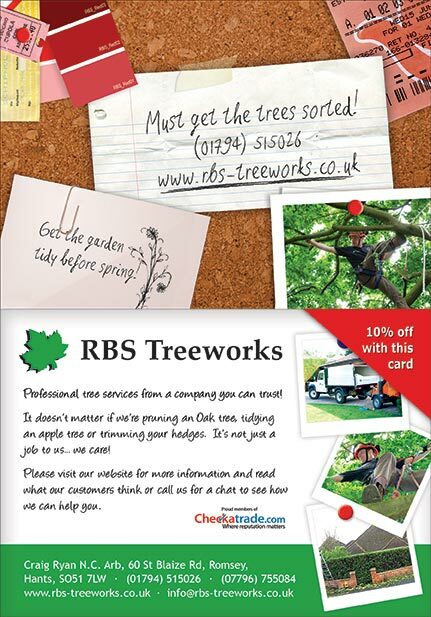 RBS Treeworks postcards have been designed and ready for distributed. Every bit of advertising helps! We're excited to be on Facebook now. Found out more about us by going to www.facebook.com/RBSTreeworks. 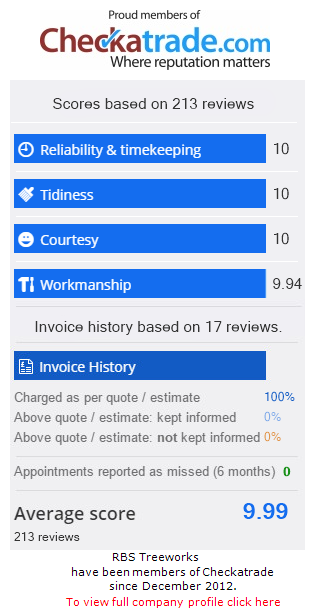 Checkatrade are an independant company that vet professional trades people to ensure that they are qualified, insured and have customer references. Click on the image below to view our Checkatrade webpage and references. October 2012 - New page launch! We've added some new pages for you to read up about our customers most frequently asked questions, read about what fungi or diseases may be damaging your trees or maybe you'd like to sub-contract with us. Do you need to know more... please email us at info@rbs-treeworks.co.uk. September 2011 - Roof saved! 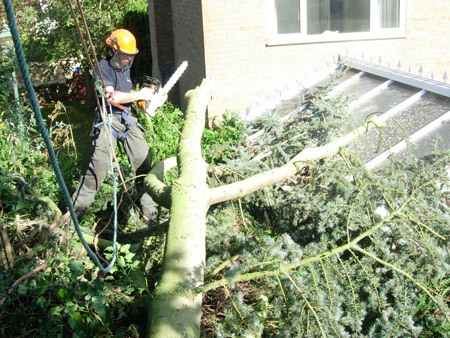 A tree surgeon from RBS Treeworks removed a large snapped Cedar branch from conservatory roof in Romsey. July 2011 - American Redtail rescued in Southampton! A bird sanctuary used our services to rescue the bird of prey which had escaped. 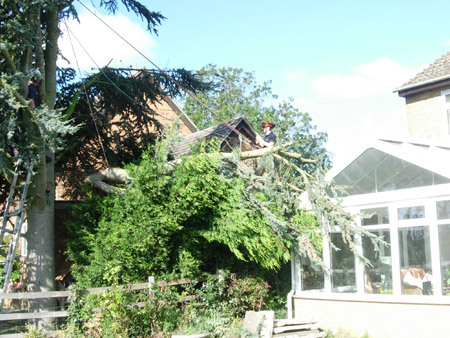 It was stuck up the top of a 40ft Ash tree as the foot strap had become entwined on a branch. The bird was rescued unharmed.